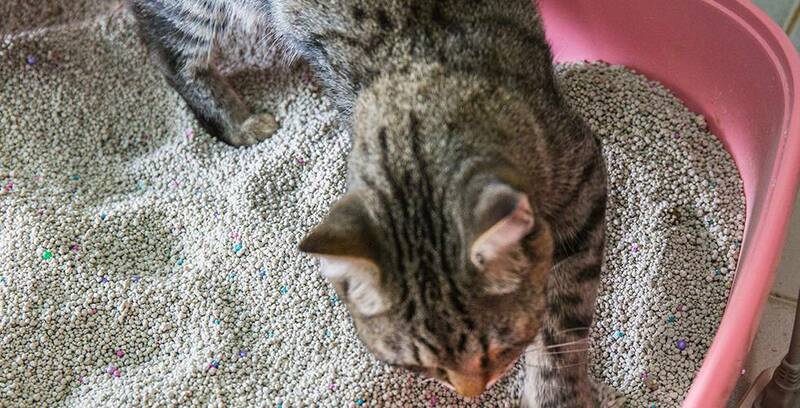 Is your pudda cat leaving nasty nuggets outside the cat litter box? Do they scatter their litter to the wind without a thought for your over-worked dustbuster? Perhaps the master moggy of the house has suddenly decided to start urinating in unexpected and unwelcome places? Fear not, fellow feline fanciers! 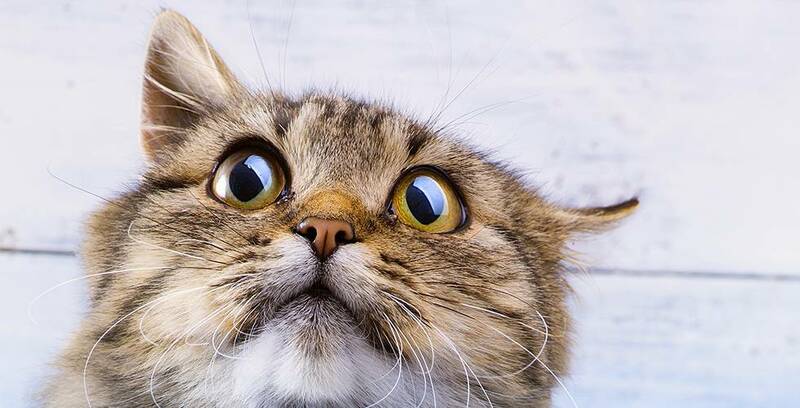 We are here to set the record straight on why your cat might be miffed about the litter box. Hooman, put down the stain remover and have a quick read of our 5 ways to prevent cat litter box problems. Which litter box does pudda pre-fur? Cats are very discerning creatures. They like things a certain way and will let you know vocally, or fecally, if their litter box style is not up to scratch. Give your cat a few options for their private powder room. Covered, uncovered, high sides, low sides and different locations are all things you can try. Your cat will let you know which choice is best for them. Once you have that confirmed, get two! Having two litter box options available for your cat ensures they won’t have to hold it in, which can cause issues like Feline Urinary Tract Disease, and that they have a clean option for toilet time. Your fur baby is as fussy about the type of cat litter they use as they are about what box it sits in. If your pudda turns up their nose at your choice of cat litter then you must run some tests to find out what sort of material they’d like to defecate in (other than the neighbour’s sandpit). Try a few different kinds of cat litter in boxes next to each other and, once again, your cat will let you know their litter of choice. Have a peek at our guide to cat litter types here. It almost goes without saying, but if your litter box resembles a truck stop restroom on a highway to nowhere (even for a mere moment) your cat will show their displeasure by taking their booty business elsewhere. Like your hallway carpet, for example. Get to know your cat’s elimination routine and ensure that their litter box is fresh and cat level clean when nature calls. Having two of their preferred boxes with their chosen litter types will help with this. Imagine you went to go to the bathroom and your toilet had been moved to another room. Or perhaps a member of your household had decided to stock it with SEASHELL patterned toilet paper. Horrific, we know. Like most fur babies (and hoomans) cats are routine lovers and a change in their toilet time, surroundings, litter type or litter box will throw them right off. Keep the poop-train running on time and don’t re-route it to another station without gentle and gradual introduction of the new set-up. If you are doing everything right and your cute cat is still creating a pro-hart-esque display everywhere but the litter box then you may have a stressed or anxious cat on your hands. Have a chamomile and a bit of a read of our guide to dealing with stress and anxiety in cats here. Making sure your cat feels comfortable about where they eliminate is key for a happy hooman-cat relationship. Your moggy master or tabby tyrant will thank you for your attention to toilet detail with lots of lovely boops and bleps. 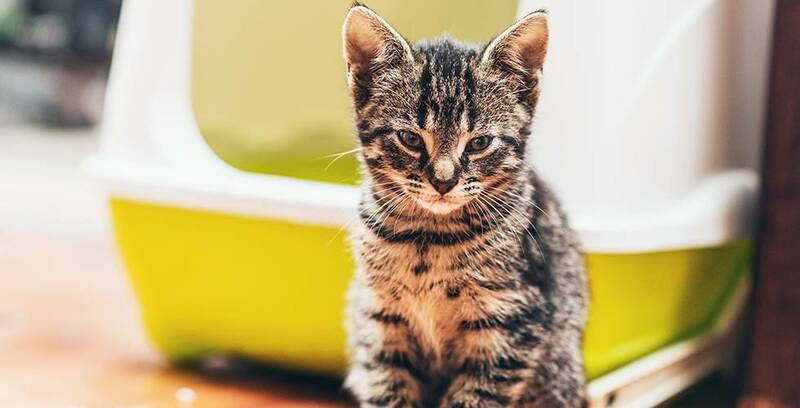 If you are just at the start of your toilet training journey we suggest you have a peek at our guides to training your kitten or training your senior cat to use the litter box. It’s never too early or too late for your pudda to learn where to let go.